As far back in time as you may wish to go, man has been captivated and fascinated with the moon. In ancient Roman times the Goddess Luna was described as the divine embodiment of the Moon and was often presented as the female complement of the Sun. She was worshiped during both the new and full moon phase. Today we understand the critical effect that the moon has on our planet and the powerful control it wields over our oceans, waves and tides. Even though thousands of miles separate our oceans and the moon, they are inseparably linked – much like a sail boat and the sea. 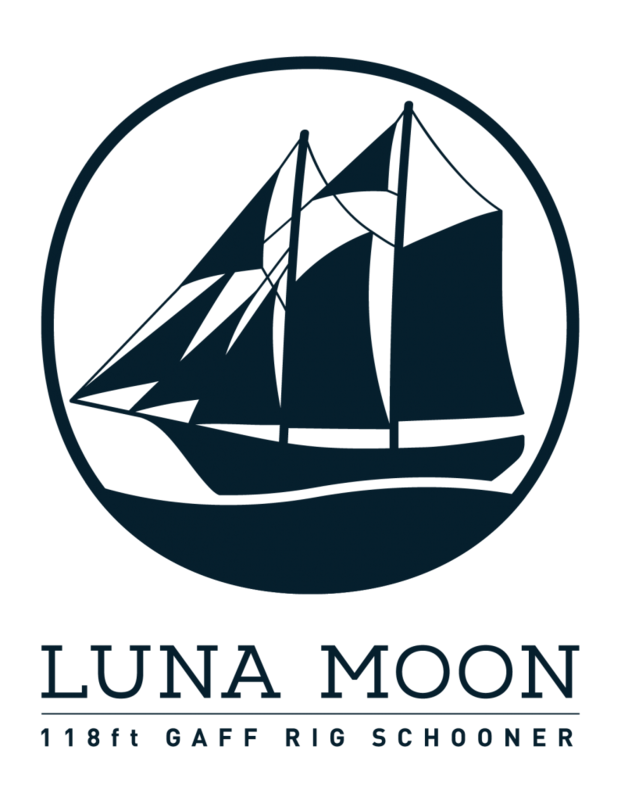 Our mission is to provide a sailing experience that encourages personal growth, ignites a sense of adventure, develops a sense of teamwork where life-long friendships are formed and delivers our conservation message to all who sail upon Luna Moon. MRCI is a registered Malagasy NGO focused on conservation, research and community development as well as empowering the young generation through youth development and sail training. For more information on this exciting program, check it out Here! Email us for Enquiries Today! Magical Madagascar remains one of the last truly unexplored surfing destination on earth. With a land mass two and a half times the size of Great Britain, Madagascar is the 4 largest island in the world and is your true adventure surfing destination with thousands of miles of beaches, islands and surf breaks. Already world famous for surf breaks such as Jelly Babies, Flame Balls, Pete’s, Googles and many more. Madagascar is waiting to be explored and there is no better way to experience Madagascar than aboard the 118ft Gaff Rig Schooner, Luna Moon. Luna Moon will be on location off Anakao inviting guests to enjoy 18 of Madagascar’s best uncrowded breaks. The cost is calculated on a per night basis at a 120 Euro per night for 13 nights. There are 8 guest cabins on board each with their own wash basin. We also have 3 guest bathrooms with toilets and showers in the accommodation area. Luna Moon has expansive deck space as well as a large dinning and chill out areas. All meals are provided as well as bottled drinking water and there is a cash bar selling snacks, cooldrinks, beers and local rums. Guests will be picked up and returned to Tulear Airport on the scheduled arrival and departure dates. Transfers to and from Luna Moon are included. The Luna Moon tender will drop guests at the various breaks for the morning surf sessions and return to the vessel for lunch. Afternoon trade winds often allow for some epic kiting in the afternoons. The southern province of Tuléar (Toliara) offers favourable conditions to surfers, kiters and windsurfers alike. Anakoa is a two hour sail south of Tuléar and offers a clean, hollow left hand break over a fairly exposed fire coral reef aptly named Flame Bowls (or Flameballs). Flame Bowls is a world-class kitesurfing wave. The wind, mostly cross-offshore SE from the left, kicks in around midday and is usually around 15 to 20 knots which is still very surfable. Conditions at Flame Bowls work best later in the day and there are several other left and right hand breaks to surf in the mornings. Mornings often start out at TT’s, a sheltered reef break working best in offshore easterly winds, which delivers a winding left-hand wave that reels off a horseshoe reef for approximately 200 to 300 metres. There is also a classic right-hand wave on the other side of the reef called Deans Innersand about 5kms further out another good right-hand wave called Outers. Jelly Babies is another right hand reef break that works best when the wind is offshore. Chefs, also in the Anakao area, is a left hand wave over an exposed point reef break that provides pretty consistent surf with offshore winds from east to north-east. Puss-Puss is a seriously fast, hollow and dangerous wave over exposed reef ideally surfed on a full tide with good swell and NE-NW winds. Resort works on offshore winds from the SE with a left and right hand break over exposed reef. Ifaty, another great spot on the south pass of Ifaty to the north of Tuléar delivers a left and right break on either side of the pass. Its best surfed in the morning on outgoing low tides with an offshore easterly wind. There are approximately 18 spots in and around Tuléar which are all included in the charter itinerary. 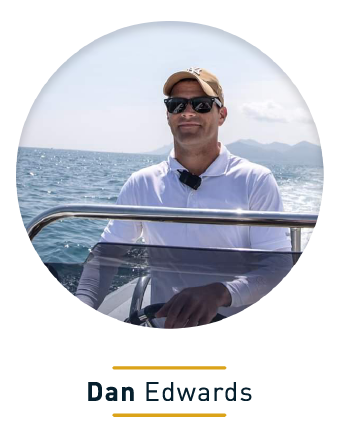 Captain Dan Edwards has always had a love for the sea having grown up in the historic seaside town of Port Elizabeth. Besides being a qualified ship’s captain and sailing instructor Dan is also a qualified deep sea commercial diver. 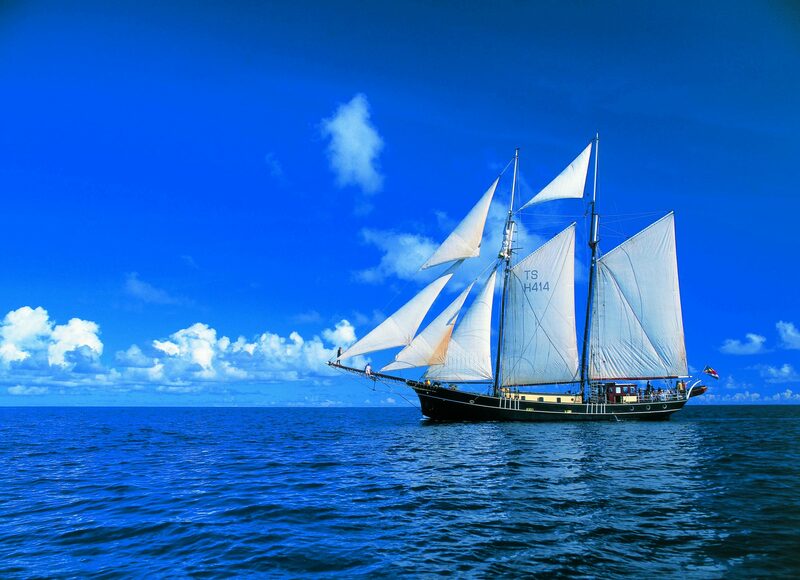 Dan has not only worked on super yachts in the Mediterranean he has also sailed large dhows in the Indian Ocean. Friendly, competent, fair and always willing to assist others best describes Captain Dan. Aaron Harrison or otherwise known as MacGyver is the vessels engineer and maintenance officer. Seldom see, but a crucial member of the crew MacGyver is everyone’s go to guy when something stops working. Born with a spanner in his hand Aaron has always enjoyed building and tuning race cars as well as repairing anything that’s broken. 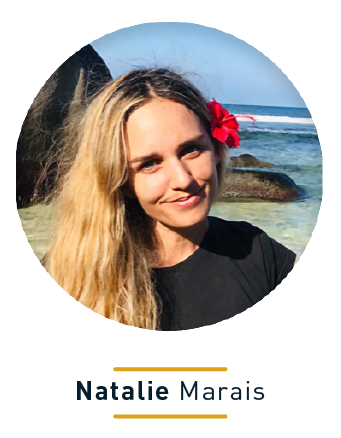 Natalie Marais is a well-travelled adventure girl who loves any outdoor activity. After completing degrees in both commerce and law, Nat left South Africa to teach English to young children in Korea and Thailand. Nat is passionate about conservation and is one of those people that is always eager to assist others. Nat has also recently completed her STCW course in Cape Town South Africa. 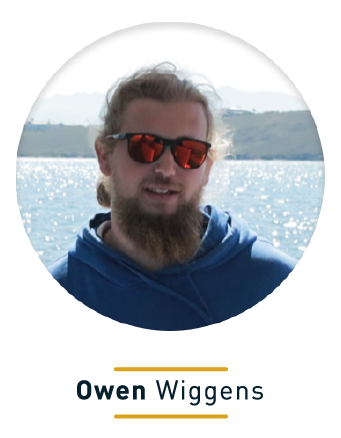 Owen Wiggins has an extensive history with the ocean having grown up in the small fishing village of Hermanus. His first interaction with sailing goes back to when Owen was only 6 years old learning to sail dingies on the local lake. 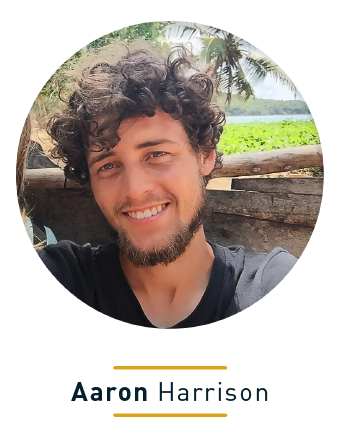 Since then Owen has qualitied as a sailing instructor with South African Sailing Authority and has been an instructor for dingy and keel boat sailing for 3 years at the local yacht club. Owen has also completed his Padi Dive Master and his Commercial Class 2 diving certification and he also has his STCW certificate. Whether teaching you to sail or dive Owen is passionate about what he does. 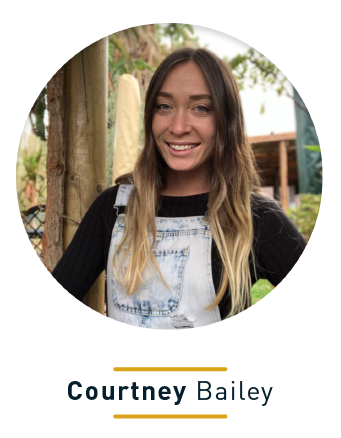 Courtney Bailey is our dedicated Media Manager. She graduated with a B.A. Degree in Visual Communication from the Stellenbosch Academy of Design and Photography in South Africa. She has always been interested in conservation and community development and is passionate about using her skills to make a positive impact.